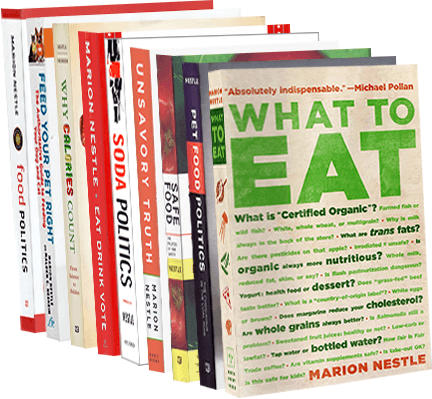 Food Politics by Marion Nestle » What should doctors tell patients about nutrition? What should doctors tell patients about nutrition? The November issue of San Francisco Medicine is devoted to Food for Thought: Practical Nutrition for Physicians (the entire issue is online). I am a realist. I am well aware of the fact of time constraints, and my list of suggestions for what doctors should tell patients about diet and health is necessarily short. Fortunately, it doesn’t take long to tell patients that what they eat matters to their health. It takes only a minute to explain that healthy eating simply means attending to food variety, minimal processing, and moderation. Take a look and use! How about reassessing First Amendment “right” to market junk foods? Food industry fights back. Method: attack critics!